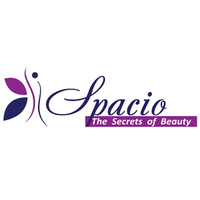 With four outlets situated in Clementi, Toa Payoh, Marine Parade, and Bugis, Spacio Beauty is a well-established beauty care centre that is committed in providing optimal beauty services to customers. Non-invasive and pampering services geared toward both men and womenfolk include an extensive menu of massages, facials, and IPL treatments with packages customisable to individual preference. With its team of professional and trained beauticians, treatments are safe and performed using the latest technology and products.